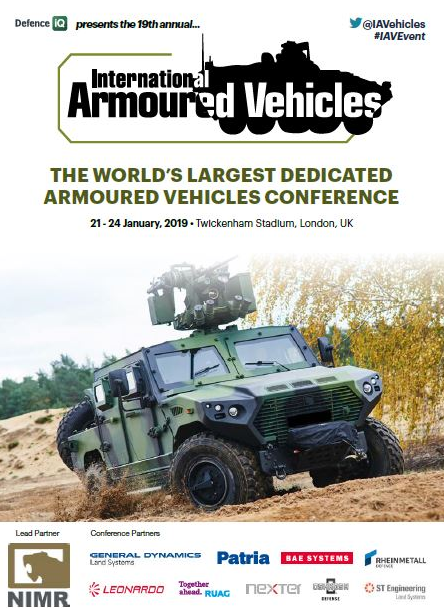 The annual International Armoured Vehicles Conference (IAVs, 21-24 January 2019, Twickenham, London) has gained a reputation as the world’s premier international meeting ground for all elements of the armoured community. Attend this forum to improve your knowledge of the state of development of armoured vehicles, of the nature of the range of threats that nations face and the ways you can best optimise the technology and vehicle development to cover off against them. Download the event guide below or email us to send you a copy.